Turner Motorsport�s five years of endurance competition has taught us many things. 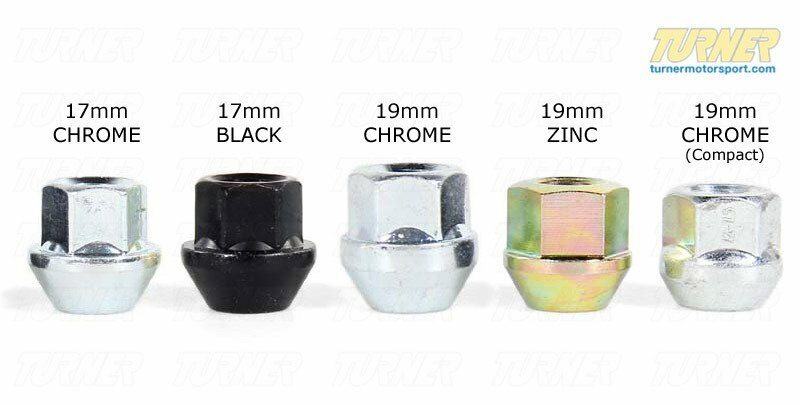 One was that not all lug-nuts are made the same. While the standard nuts that we sell are great for daily drivers, HPDE events, and club racing, a beefier and more durable nut was needed for the 3-hour, 6-hour, and 24-hour professional endurance races. During the 24 Hours of Daytona, our crew guys made over 80 tire changes in NASCAR-style pitstops. That kind of abuse from air guns and fast work required the "next level" of lug-nut. 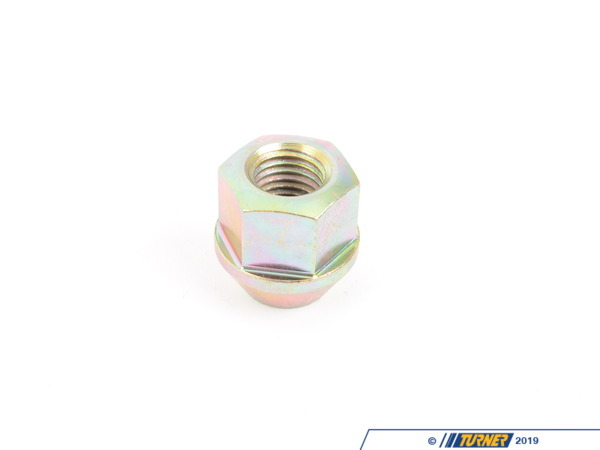 These nuts are a high-grade steel with a zinc coating and they incorporate several innovative features. 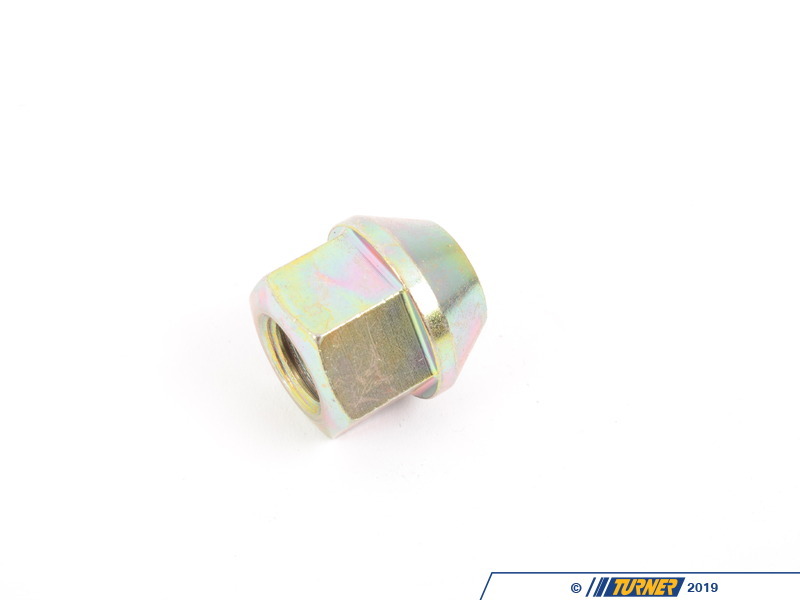 The wheel-side of the nut has recessed threads so that the nut has to be square to engage the threads. Without the recess, it�s far too easy to start the threads with the nut being crooked. Turner Motorsports five years of endurance competition has taught us many things. One was that not all lug-nuts are made the same. 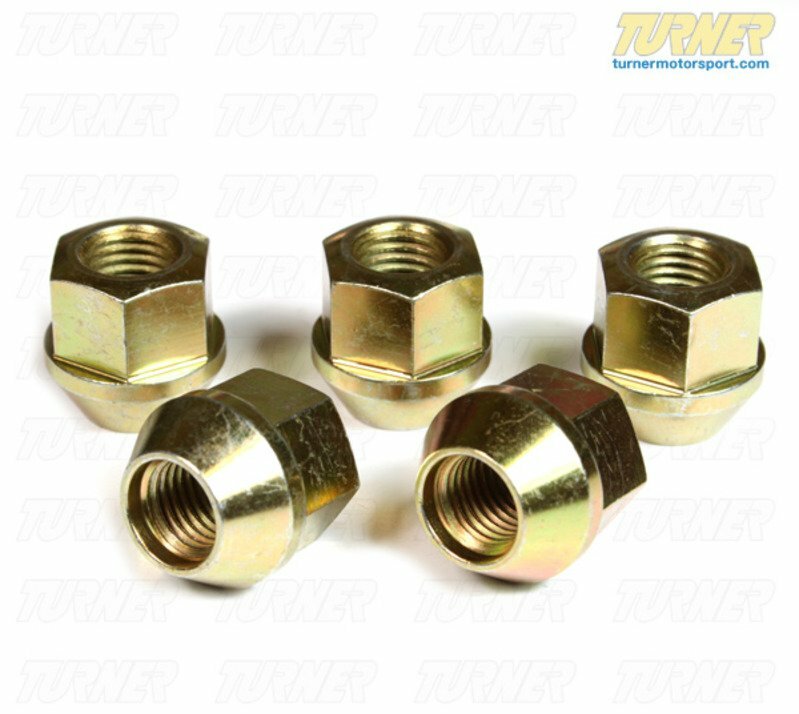 While the standard nuts that we sell are great for daily drivers, HPDE events, and club racing, a beefier and more durable nut was needed for the 3-hour, 6-hour, and 24-hour professional endurance races. During the 24 Hours of Daytona, our crew guys made over 80 tire changes in NASCAR-style pitstops. That kind of abuse from air guns and fast work required the "next level" of lug-nut. 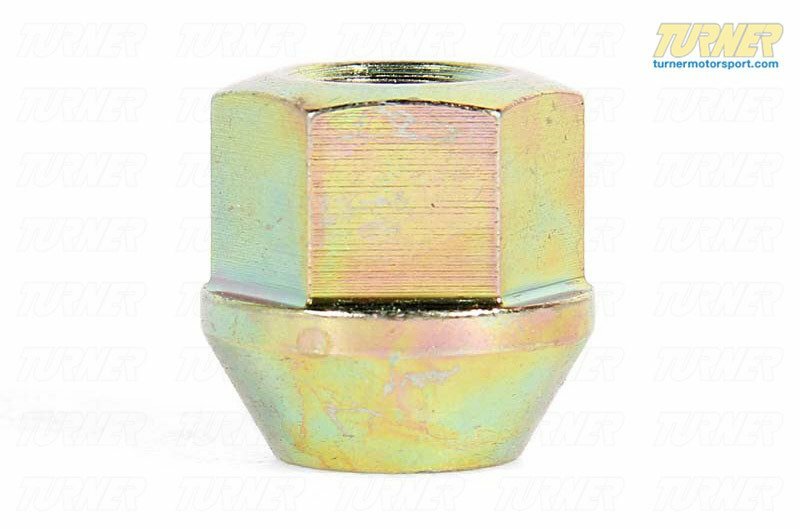 These nuts are a high-grade steel with a zinc coating and they incorporate several innovative features. 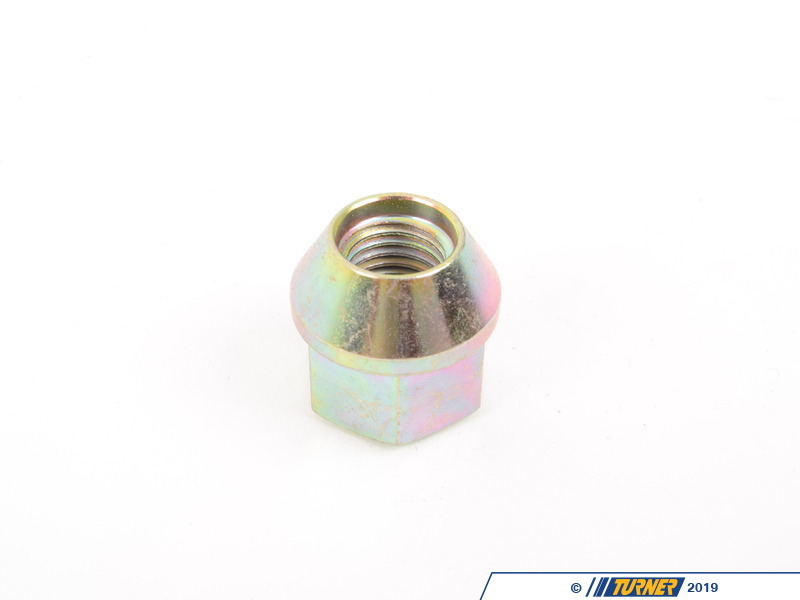 The wheel-side of the nut has recessed threads so that the nut has to be square to engage the threads. Without the recess, its far too easy to start the threads with the nut being crooked.